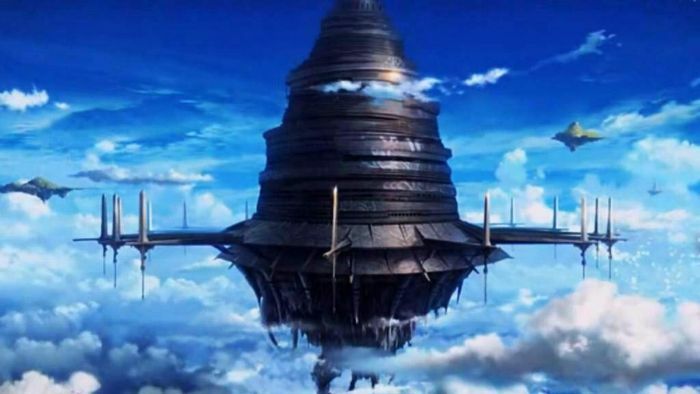 The most awesome anime castles of all time! In the world of anime, you don't need to be royalty to live in a castle. 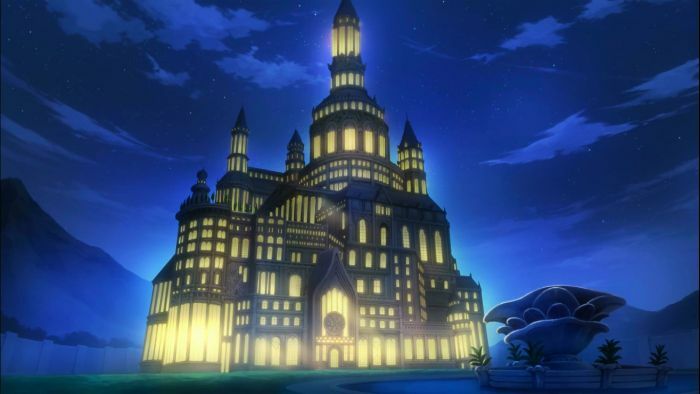 Whether you're a traveling magician or a vampire -- you too can own your very own anime castle. Here are some notable examples for your castle window-shopping pleasure. Come on, you knew this one was going to make it to this list. 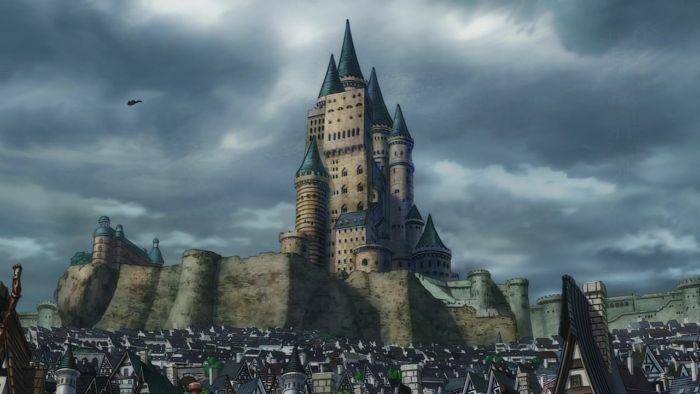 After all, when you think of "anime castle," you think of Howl. Even the movie title advertises the presence of castles. And Howl's castle doesn't disappoint: it's pretty awesome. It doesn't look like a traditional castle; it looks more like a fish on chicken legs. But it wins badass points for flexibility alone: it can float around in the air, run on the ground on spindly legs, and rearrange itself based on the mood of its owner. It might not have tall towers fit for locking up damsels in distress, but it does pretty well for itself. 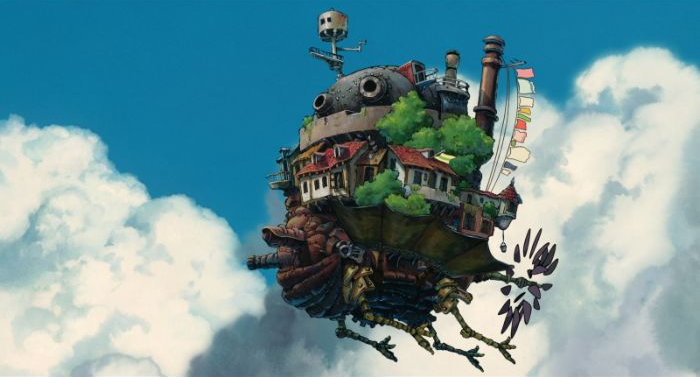 Okay, maybe Miyazaki just has a thing for floating castles. 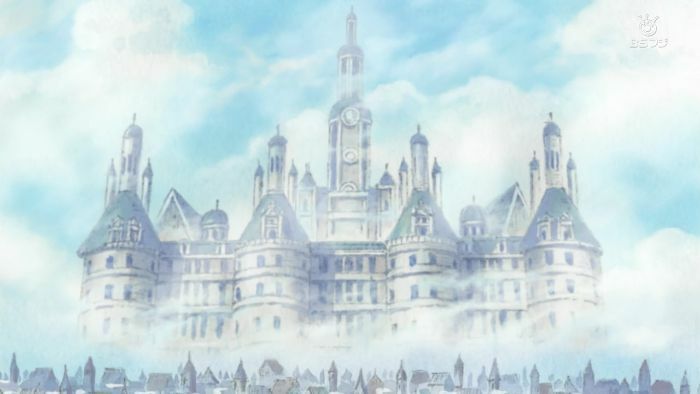 Our next entry features another Ghibli film that features yet another titular castle. 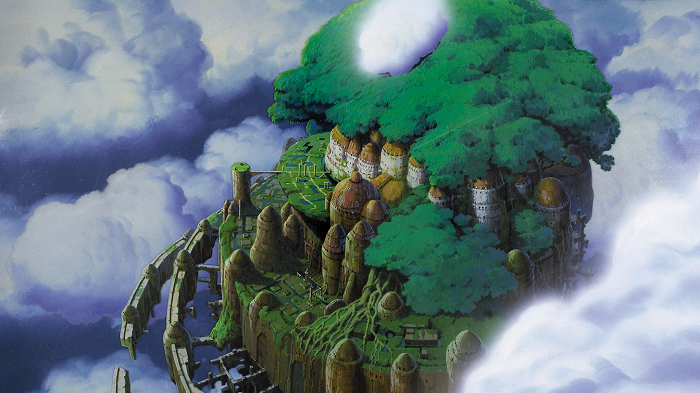 Laputa is more than just a castle, though: it's the symbol of hope for a world that has descended from the skies after feeling the glory of living in the air. Like Howl's castle, Laputa doesn't quite resemble a fairy tale castle. Instead, it's a large city floating on what looks like a mess of roots keeping it airborne. Just how the castle stays up in the sky is a mystery central to the movie. We promise this is the last Miyazaki film on this list (at least this one isn't floating!). 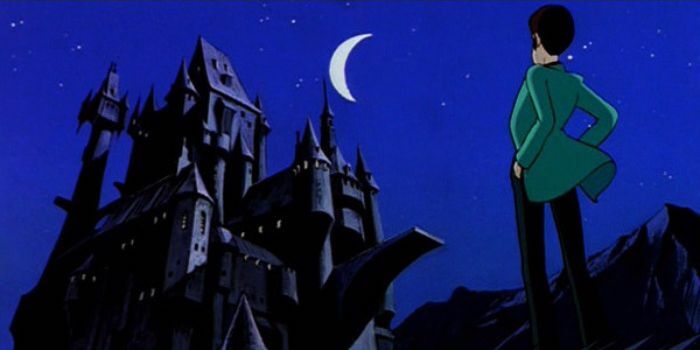 This entry in the Lupin III franchise has another great castle, once again featured prominently in the movie's title. It's luxurious, full of deadly traps, and rumored to be the source of the infamous goat currency forgeries. A beautiful castle as an evil lair is not original, but Cagliostro is definitely a memorable structure. Luffy and his crew have seen many different lands and sights on their adventures across the world. Among those, there have been a handful of castles (like Drum Castle). But one stands out as the most impressive: the castle of Mariejois. This castle is gigantic, with at least six stories and additional structures towering above those. Any time the castle is shown, it's shrouded in mist. This might be because the location itself is misty due to its high altitude, but it sure adds a pretty cool vibe to the whole place. 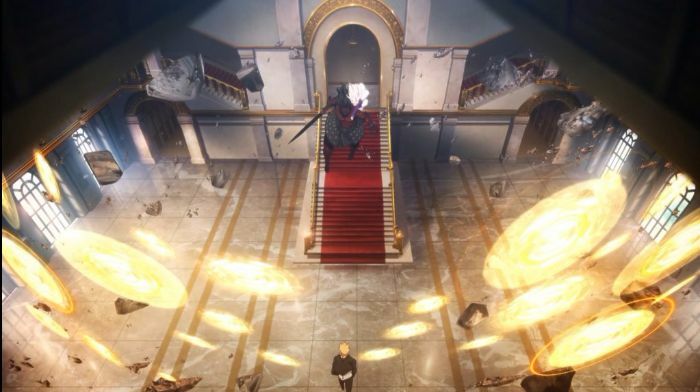 Sword Art Online shows off some stunning environments, and its castles are no exception. Aincard Castle is an imposing structure, once again shaped nothing like the castles of yore. This anime castle is a humongous armored core, a floating fortress that just dares you to try and infiltrate it. It might be less impressive considering it's a digital creation in an online video game, but when you're strapped into that VR bodysuit with your life hanging in the balance, what's the difference. Now we're finally entering a more familiar-looking realm of castles. 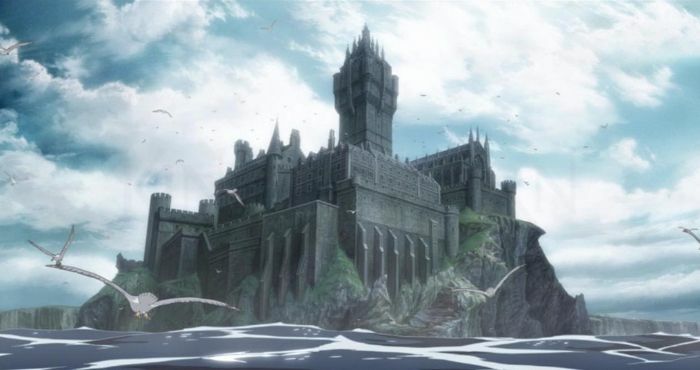 It's no surprise that the castle at the center of the Kingdom of Liones is a typical-looking castle, considering the anime is a re-imagining of Arthurian lore and mythology. The castle comes complete with a fully-equipped dark dungeon, and a violently bloody history, as all real castles should. Every vampire needs a good castle, and the castle featured in Blood Lad is pretty fitting. 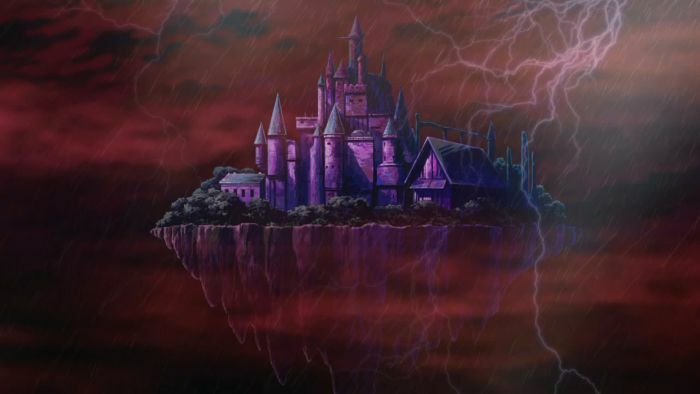 Rendered in dark purples and blacks, floating on a cliff (of course), and perpetually cloudy and thundering, this anime castle hits the mark. You know you're doing a good job at being a baddie when even your castle broods. An ancient Scottish castle is perfect -- perfect for cold storage of a bunch of humans waiting out an apocalypse, that is. In King of Thorn, the imposing castle is the location chosen to keep 160 individuals who are not infected by a deadly virus that's sweeping the world. Waking up after years, the castle takes on a life of its own, full of darkness, mysteries, and monsters. It's not a setting you would expect for a sci-fi thriller, but it's appropriately ominous. 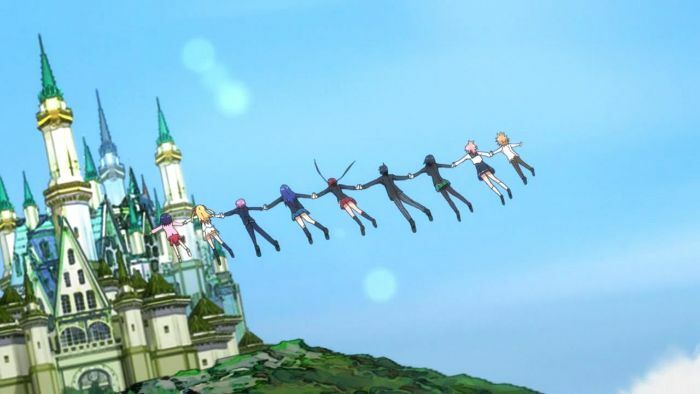 In a long-running anime like Fairy Tail, you'd expect the cast to come across one or two castles in their travels. The castle that stands out here is Mercurius Castle, which is fantastic to behold by day or night. Located in Fiore, the castle towers over the rest of the city's buildings. It appears to be created of a mishmash of other buildings, all joining together into one large edifice. 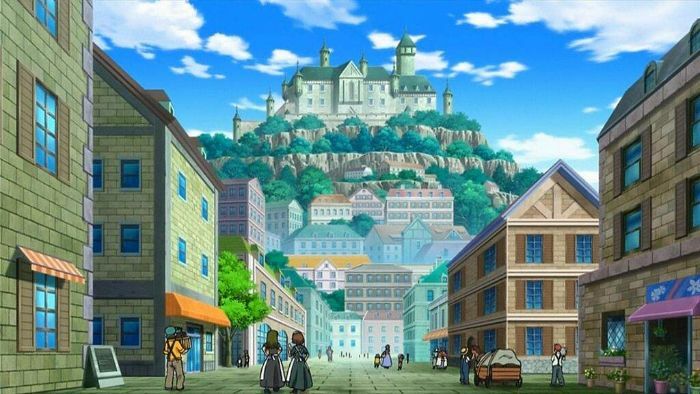 The protagonists of Pokemon have been to everything from a haunted mansion to a live volcano -- so of course they've seen their fare share of castles. Shabboneau Castle is notable for its stark contrast between the castle and the rest of the town. It rises out of a mountainous hill, and resembles a mansion more than a castle. Perhaps fittingly, it's ruled over by a Lord. 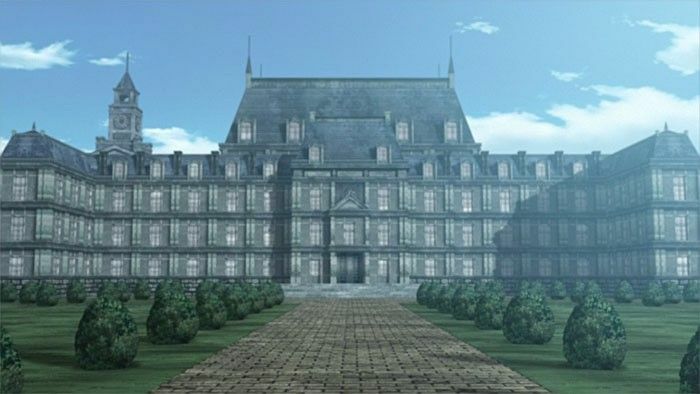 Hellsing Manor is an estate, not so much a castle. But it deserves a mention here for its sheer striking size. Gothic and gloomy, the mansion is stylish and practical, capable of protecting anyone residing inside from an invasion of bloodsucking vampires -- a useful precaution against a very real threat (unlike your zombie-proofed toolshed, no matter what you tell everyone). 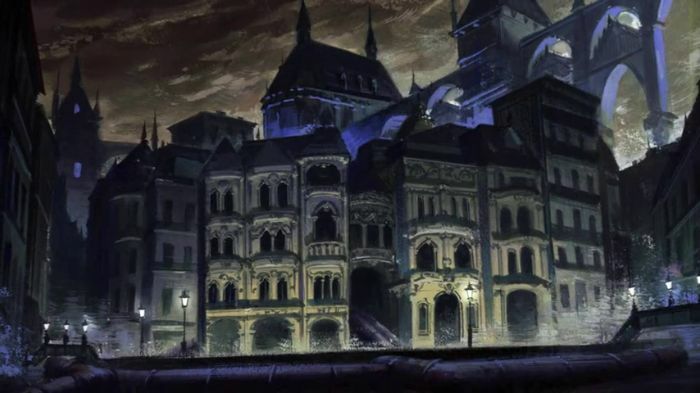 The stylish anime castle of Illya is a large place for such a small number of people to live. But Illya lives there with just her Servant and two maids. The exterior looks like a lavish mansion, while the interior is even more impressive, featuring expensive castle decor. Kings are usually selected based on birthright, not election. But in the world of Castle Town Dandelion, election season is coming up and the royal family is trying their best to win over the hearts of the citizens. Winning the election means becoming king, and getting to reign over the town, and its magnificent castle. Now this is one classic castle!